On the one hand, I enjoy a good sale as much as the next person and the fact that you can currently buy Diablo 3 and the Reaper of Souls expansion bundled together for significantly less than normal is pretty great — you can buy either Diablo 3 itself or Reaper of Souls for half off, and the combined bundle for 31% less than usual. That’s a really good deal, if I didn’t already own both I’d pick them up and if you don’t own them for whatever reason — maybe the Real Money Auction House scared you off back in the day — I would definitely recommend you pick it up now. But the fact is, Diablo 3 came out in May of 2012. It’s a seven year old game. Blizzard has actually done an admirable job of keeping it updated and giving us new reasons to play with Adventure Mode and Seasonal play, but that’s kind of what I’m talking about. If Blizzard can keep people playing a game that came out seven years ago, does that affect the decision on whether or not to announce a new game? We know they’re working on it — they’ve all but admitted it — but I can’t help but wonder if one of the reasons they haven’t made a more definitive announcement is simply that they have a Diablo game that people are still buying and playing right now. There have been whispers that before Reaper of Souls people didn’t think Diablo 3 had a future, but here we are years down the road and it keeps getting ported to consoles (like the Switch last year) and people keep buying and playing it. There’s not as much pressure to make an announcement when the property seems to be doing well without one, and maybe even a little pressure to make absolutely sure they stick the landing, so to speak. And to be honest, I can see the logic if that’s the case. Like I said before, Diablo 3 has done an amazing job giving players things to do and reasons to keep playing. 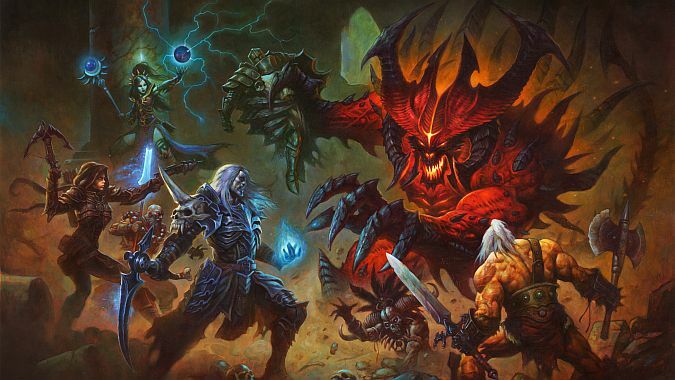 In the era of huge open world RPG’s it retains its pulsating visceral heart of smashing demons and collecting loot that it inherited from its forebears and while it has rivals — Torchlight Frontiers is coming out this year, after all — right now it’s probably fair to say that the biggest threat to Diablo 3’s dominance of the action RPG genre would be Diablo 4. In other words, only Blizzard can topple Blizzard from Blizzard’s throne at this point. But in the meantime, you can get the current king of that particular hill for 50% off right now, if you’re of a mind to. I recommend it — even if we got a Diablo 4 announcement tomorrow, the game won’t be out for a while yet, and Diablo 3 still is one of the best games out there.